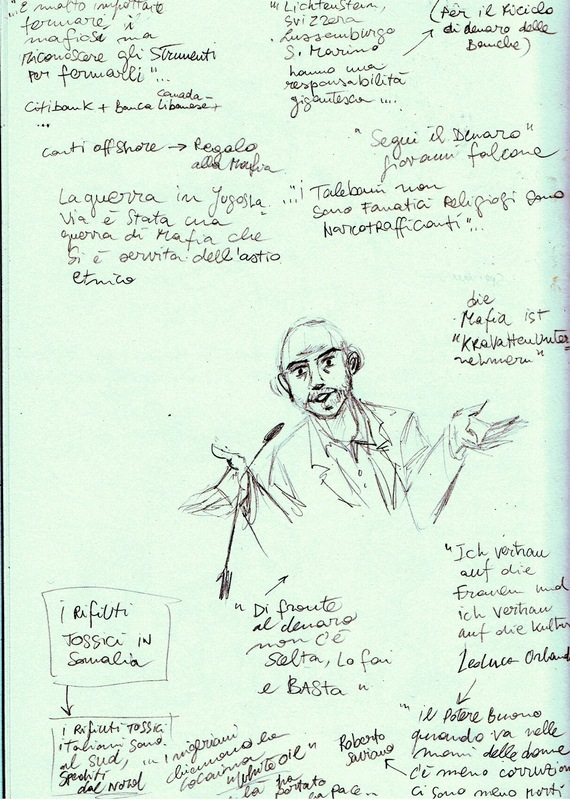 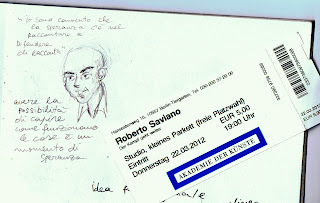 I made these sketches during the talk of the journalist Roberto Saviano, during his last visit in Berlin. 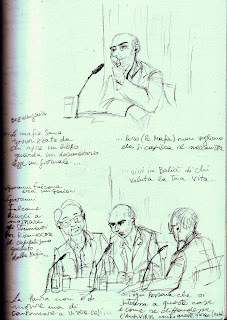 Since the publishing of his book "Gomorrah", Roberto Saviano lives under the police's protection: the Mafia sentenced him to death. 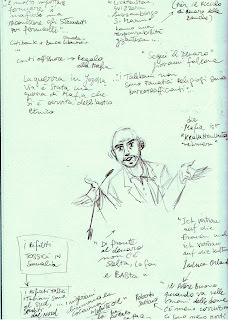 I thought taking sketches of his speech would have been better than simple photos. 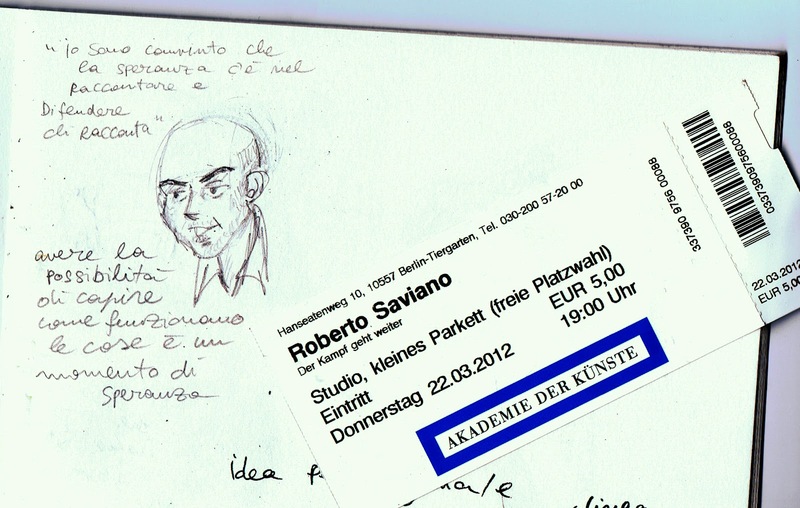 I could not help annotating his words around the sketches. 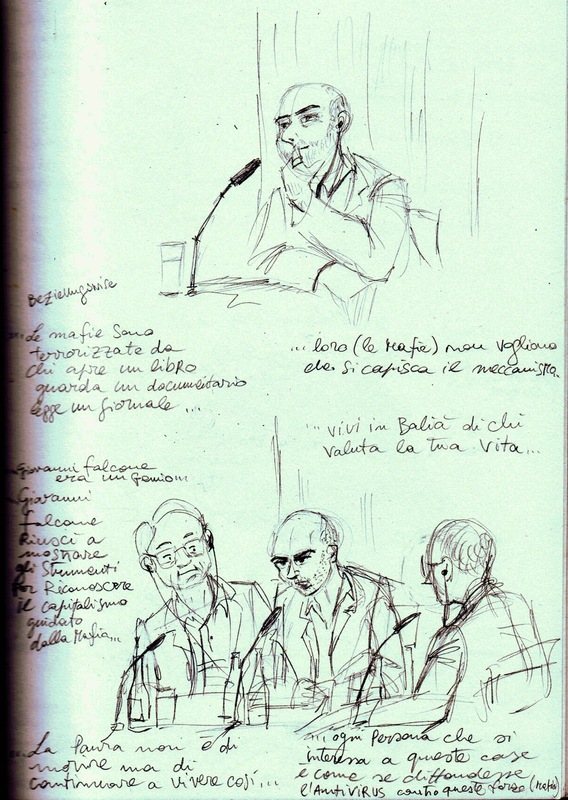 (Please click on the pictures to enlarge them).